The day of matric result has ccme. Today in all over Punjab almost more than 2 millions students will get their results. The girls and boys will see their result sheets online. Officials of the Punjab BISEs are preparing to launch the result web portal. 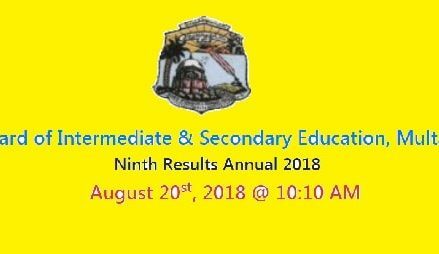 The time of result declaration is set at 10:10 AM. 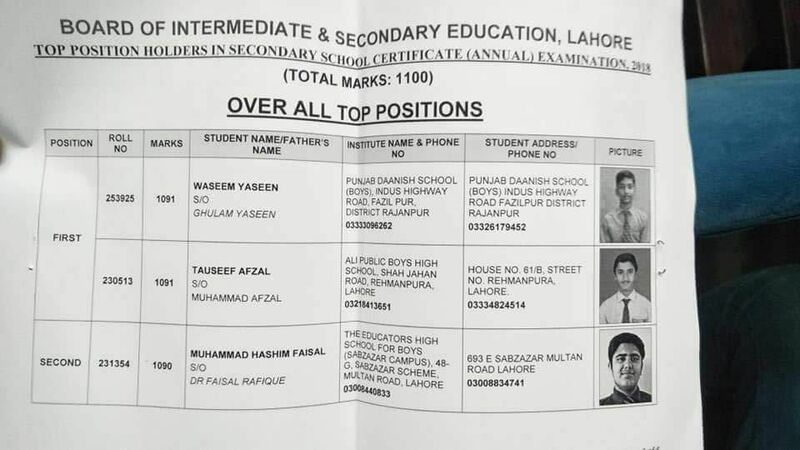 Top position holders in Board of Intermediate&Secondary Education,Lahore Secondary school certificate Annual Examination 2018. 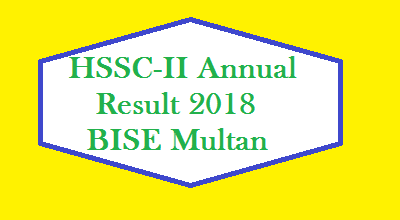 BISe Lahore has issued the toppers names of the SSC / Matric Examination 2018. The 1st position has been clinched by Waseem Yaseen S/O Ghulam Yaseen. He is talented student of Punjab Danish School for Boys, Fazilpur District Rajanpur. While First postion is shared by Tauseef Afzal S/O Muhammad Afzal. He is students of Ali Public Boys High School, Shahjahan road, Rehmanpura Lahore. Both has got same 1091 total marks out of 1100. @nd postion has been obtained by Muhammad hashim Faisal son of Dr. Faisal Rafique. He is student of The Educators High School for Boys (Sabazar campus) located at 48-G Sabzazar Scheme Multan Road Lahore. He has received 1090 marls out of total 1100 marks. If You Want to Get Matric Result (Class 10) here in Comment Section, Write your Roll Number and School Name. We will try to provide you Result Online. Lahore board of Intermediate and secondary education has prepared to make the complete result online. Official website will busy for this purpose. While Cellular SMS service will be launch the result service. BISe Lahore has jurisdiction in following districts of Punjab. They included. District Lahore, District Kasur, District Shaikhupura and district Nanakana Sahib. largest district according to population is Lahore.